Alessi S.p.A., a world-renowned manufacturer of unique and innovative home appliances, founded in 1921 by Giovanni Alessi, has pursued a policy of design excellence that made the company one of the most important design trademarks in Italy and abroad. Alessi has reconciled its industrial mission with its attitude to act as a “research laboratory in the field of applied arts”. Several Alessi products are on show in permanent collections of the most prestigious museums in the world, including the Museum of Modern Art (MOMA) in New York; the Metropolitan Museum of Art in New York; Victoria & Albert Museum, London and the Triennale Design Museum in Milan. Currently, the company collaborates with more than 200 designers from all over the world. Known for its iconic style, the Italian manufacturer blends a true passion for high-level design with the industrial approach needed to develop, produce and distribute over 3,000 home, table, kitchen, office and other products. 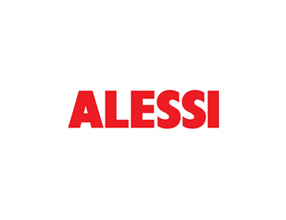 Alessi products are developed using high quality metals and other materials, including plastic, wood, crystal and consumer electronics. In addition, the company places the same attention and care in trading its products in its 43 warehouses and 370 shops worldwide. The result is a very complex project management process that extends from product design to retail. After having relied for years on a highly customized legacy system, the company started looking for a new alternative for product lifecycle management, and eventually chose Aras Innovator®. The implementation of Aras, carried out by Focus PLM, led to the deployment in Alessi of a robust and integrated infrastructure covering project and portfolio management, real-time reporting and full project status visibility. The system inclludes also management of CAD data based on Direct PLM connectors, and an integration with SAP and with the company’s Web portal.